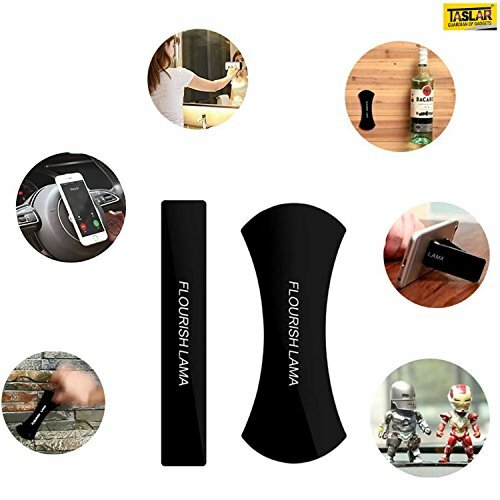 POWERFUL DRIVE: Strong adsorption ability, everything can stick,even when the surface is not flat.Without any vestige when remove it,when you need to remove slowly pull up on the side will never damage the wall.WIDE COMPATIBILITY: Not only for mobile phone or car, but also for all aspects in life, such as glasses, pen, cable, potted,can be use as a phone holder, anti slip gel pad for on a car. etc.✅ SWIFT SNAP TECHNOLOGY: after few years improvement of swift snap technology, a new material of Nano Rubber Pad – FLOURISH LAMA is published. 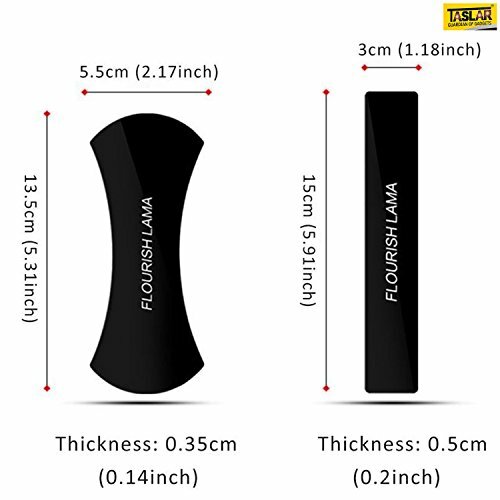 The viscosity of Taslar FLOURISH LAMA is 3 times more than previous products. 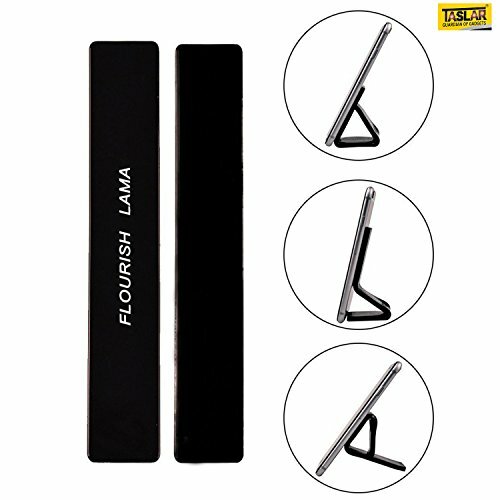 ✅ WASHABLE: No worries when your flourish lama sticky gel pad got dirt or lost fixation effect. Taslar Nano Rubber Pad can be reused by repeated washing. 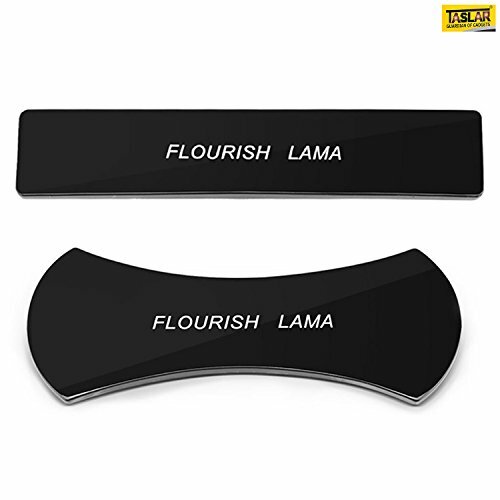 ✅ HARMLESS: Flourish Lama pad was made of excellent quality gel, it’s completely free-toxic, harmless for your hand skin. 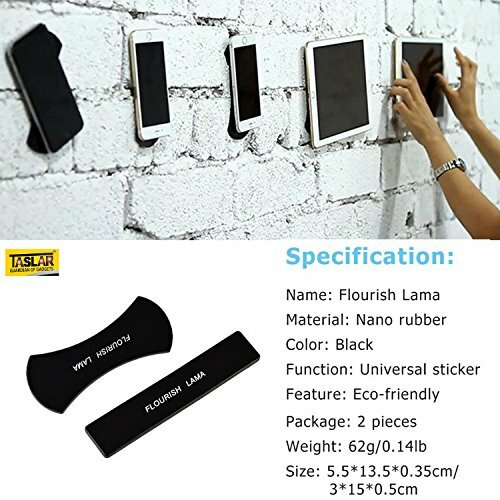 ✅ 2 PACK: 2 packs Nano rubber pad, include 2pcs soap shape Flourish Lama rubber pad, 2 pcs rectangle shape Flourish Lama rubber pad.